if there is a neurological injury then inform Spinal Cord Injury Centre within 4 hours (0844 811 8110). This is the responsibility of the team under whose care the patient is being admitted. Ask to speak to the consultant on call for spinal injuries. SCIC responsible for entering data to national database. SCIC will provide outreach visits within 5 days and then weekly until transfer. 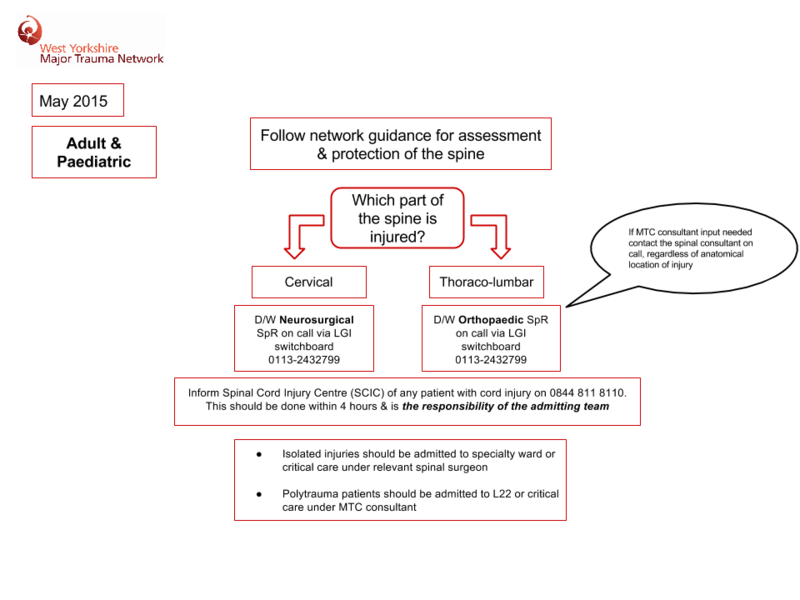 Follow Network Guidance on care of patients with spinal injuries during admission [to be written].